Labour Weekend this year marked the 15th running of the Legends Regatta at Great Mercury Island. The regatta was conceived by Mount Maunganui Yacht Club stalwart Doug Harrison as an event where ordinary yachtsman could combine cruising, friends and fellowship with enough racing for those so inclined to stay interested. “It is all about participation,” says Doug. There is prize giving every night but the major prize is drawn randomly among those who have competed in at least three of the four events. The format of the weekend is to sail to Great Mercury on Friday and return home again on Monday. These two legs of the weekend make up 2 of the ‘events’ to qualify for the regatta grand prize and there is no set start time. This means that skippers can choose the time to leave that suits them best. In addition to the participation prize, there is also a trophy for the race results. “We wanted to provide an event for both the cruisers and those racers who don’t want to go through the rigmarole of doing the Coastal Classic”. The transit legs are also part of the race schedule and so there is a bit of tactics involved for those aiming for the trophy. Choosing the best departure time has meant some boats leave in the wee small dark hours. Because the organisers want to ensure that all the participants arrive in plenty of time to enjoy the weekend, there is a unique motoring clause in the rules. It means that if there is insufficient wind, a boat may choose to motor for as long as they wish. There are time penalties for this, but over the years it has been known for the winning boat to be one that used its motor to best advantage. One of the key success factors for the Legends has been the many sponsors that have provided support over the many years. A large cohort have been involved of every regatta and receive support from our entrants in return. We usually get 25 to 35 boats entered and one year there was 52. 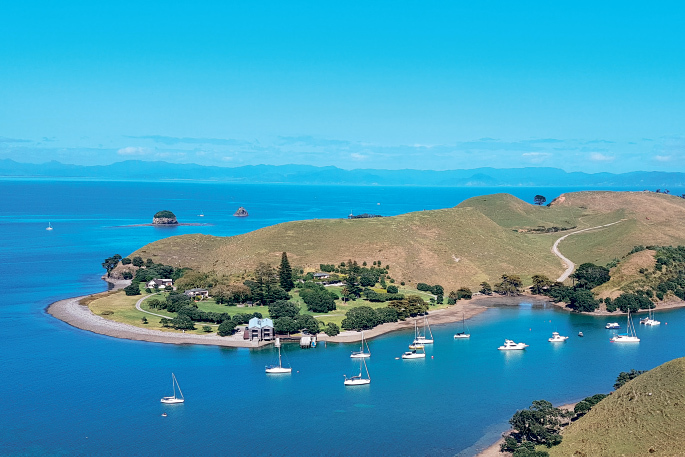 Great Mercury Island is one of the gems of the Coromandel east coast. With numerous bays and stunning walks there is plenty to do. One of the great things about Mercury Island is that it is open to the public, even though it is a working farm. Putting on these regattas takes a bit of effort, but everyone seems to enjoy them. A few people have done most of the 15 but there have been a few false starts. The weather forecast for 2007 was for atrocious weather and the committee took the decision to call it off. Not all the skippers got the message and 30 of the 52 went anyway. Apparently they had an enjoyable time, but the trip up was a bit boisterous. “We’ve done the event 14 times and they have all been fantastic,” says Adam. “We’ve encountered our highest windspeed on one trip up (53 knots) but it was from behind so we just surfed through it, and our highest boat speed (17knots) at these regattas. The worst trip was when the wind was on the nose and blustery all day. So we chose to go to Mayor Island en route and spent a pleasant day waiting for it to improve. While all the other boats got thrashed, we had a nice walk, a bit of a sleep and then an equally pleasant night sail later. 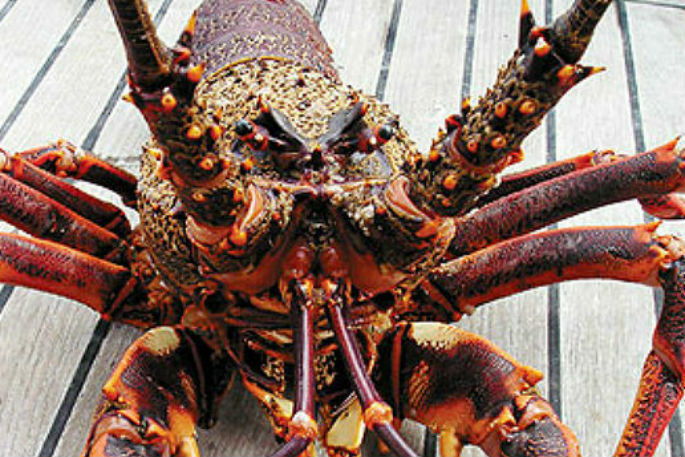 Suffice to say we didn’t win any prizes that weekend, but we did get two packhorse crays from just inside Southeast Bay”. 2018 has been dedicated to Mike McCormick. Mike is an icon of yachting in Tauranga. He has sailed hundreds of thousands of miles around the globe, participated in all the blue ribbon yachting events such as Sydney Hobart and Fastnet. “Mike is winding down his participation in yachting and we felt it was right to honour one of the legends of our city and yacht clubs. He has been to most of the Legends Regattas that we have held and we have all learnt something from him over the years,” says Doug. The results for the weekend, saw the island race prizes provided by Burton Sails going to Not Negotiable and Wizzard. The trophy was awarded to Wizzard for making the best use of the conditions (and was the only boat which chose to sail the whole leg home, while wind was at its best). The major prize, is a participation prize, drawn randomly among all the boats that participated. This year the prize was a B&G Vulcan chartplotter, provided by Promarine Electronics and $1000 cash from Karaka Pines Villages. This year it was awarded to our Mayor, Greg Brownless who participated in the event for the first time.